The TARDIS journeys to a twisted caricature of the city of London, a 1970s hotel where the laws of time are being distorted and a planet of social media addicts where the Doctor is public enemy number one… This 4CD set has plenty to offer for fans of the classic ‘70s TARDIS team, with a double dose of surreal adventures – Justin Richards scripting a grotesque version of 1984 and Dan Starkey writing a Doctor Who take on the Hotel California – and an epic two-part conclusion to the series featuring a deadly encounter with old foe Sutekh the Destroyer. Tom Baker (the Fourth Doctor), John Leeson (K-9) and Jane Slavin (new companion Ann Kelso) lead an impressive cast across four new adventures, including Mummy on the Orient Express’ Frank Skinner, Blake’s 7 alum Glynis Barber and Da Vinci’s Demons star Blake Ritson. Uniformed police officer Ann Kelso is working her beat on the streets of London when she runs smack into an otherworldly man known as the Doctor. Together with the Doctor’s decidedly metallic dog K-9, they will encounter one of the founding mothers of computer science, visit a private zoo full of the most frightening predators in the galaxy, and begin to uncover a conspiracy that stretches deep into the Doctor’s past… After several seasons of playing it safe by sticking to TV companions, it’s time for a new dynamic in the Fourth Doctor’s TARDIS: enter Big Finish’s own creation, Ann Kelso. 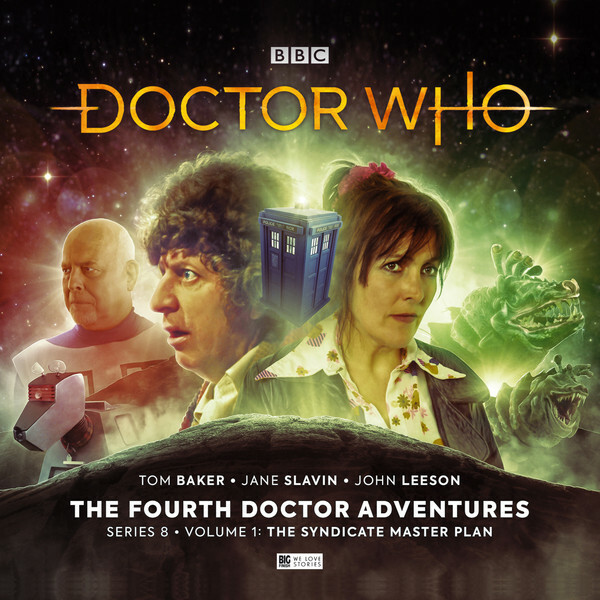 While previous series tended to consist of mostly standalone adventures, this new series incorporates an ongoing story arc – another sign that the Fourth Doctor range is moving on from pure nostalgia to something more ambitious. Following on from Vol 1, the plot thickens for the Fourth Doctor, Ann and K-9. Guest stars for this 4CD set include Gethin Anthony (Game of Thrones), Carolyn Seymour (Survivors) and Ronan Vibert (Jonathan Strange & Mr Norrell). The Syndicate’s plans are moving forward, and it is up to the Doctor and his friends to uncover the truth behind a deadly conspiracy that spans the vast reaches of space… Following the explosive cliffhanger at the end of Volume 1, the Syndicate story arc reaches a thrilling climax here, with plenty of suspense, action and surprising revelations. There’s even an homage to James Bond! Tom Baker’s Doctor and Lalla Ward’s Romana continue their Season 18-flavoured audio adventures, joined by Alistair Petrie (Rogue One), Sheila Ruskin (Doctor Who: The Keeper of Traken) and Brian Vernel (Doctor Who: Eaters of Light). The Fourth Doctor range welcomes Big Finish newcomer Adrian Poynton, whose debut script promises a wonderfully bizarre mix of elements wrapped in that signature Season 18 grimness. Features a WW2 submarine that has drifted off course, a crew that has dwindled to just three men, and a chimp. It’s back to Season 18 for Tom Baker (The Fourth Doctor) and Lalla Ward (Romana II), along with Camilla Power (Torchwood: From Out of the Rain), Chris Jarman (Doctor Who: The Curse of the Black Spot) and Jane Slavin (incoming Fourth Doctor companion Ann Kelso). An archaeological dig searching for Iron Age relics finds a product of alien technology. 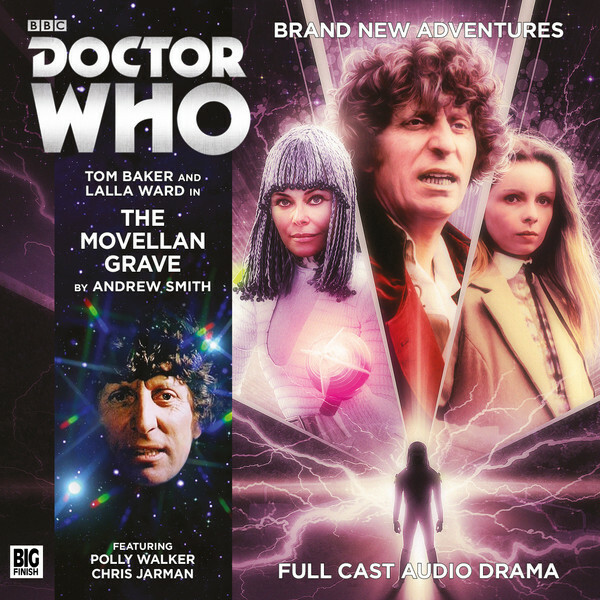 Beneath the soil, a Movellan warship is stirring, and one of the greatest threats to all humanity lies on board… Fresh from their cameo appearance in Series 10, the Movellans make an unexpected return here in a script from genuine Season 18 scribe Andrew Smith. Smith has past form putting a new spin on old monsters, including the Sontarans, the Voord and his own TV creations the Marshmen, so this adventure should expand on the silver dreadlocked robots in interesting ways. 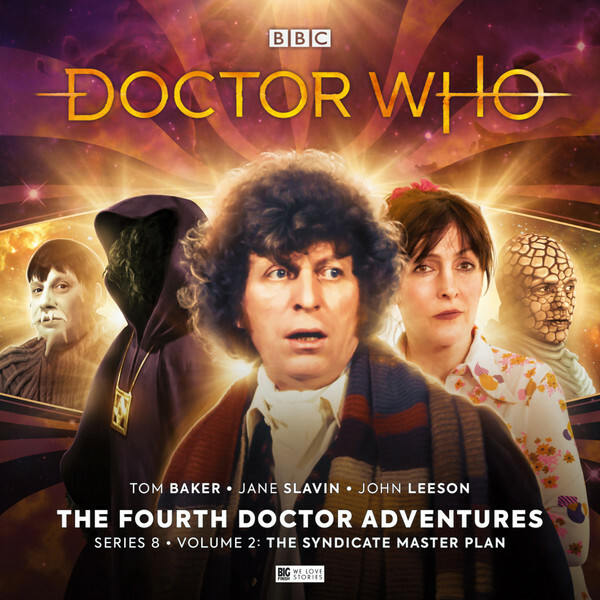 Tom Baker (the Fourth Doctor), Louise Jameson (Leela) and John Leeson (K-9) take us back to the ‘70s in this 4CD boxset, with guest performances from Dan Starkey (best known for playing Strax), Josette Simon (Blake’s 7), Toby Hadoke (Moths Ate My Doctor Who Scarf) and more. In this first half of a new series, a planet with recreational mind transference technology is suffering from a wave of suicides, a ship full of Voc Robots are targeted in a dirty civil war and scientist Leela Marshall awakes from a dream where she travels in time and space… This box set, the first of a new format, delivers four discs of adventures in one go, presenting the opportunity to tell more interconnected stories on a larger scale. With Andrew Smith (Full Circle) handling the return of the Robots of Death, John Dorney (The King of Sontar) telling a future-noir tale and a creepy character piece from David Llewellyn (Torchwood: Uncanny Valley) this set looks to kick the new format off with style.